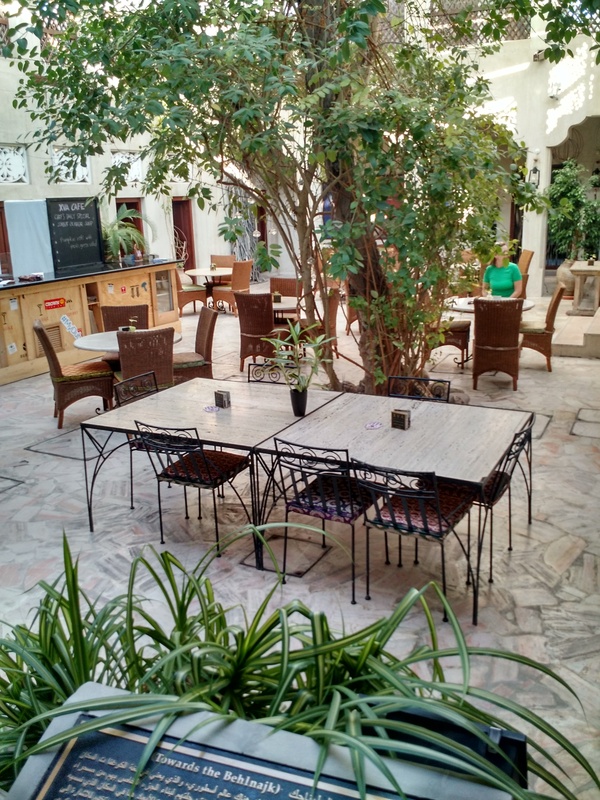 The minaret chants woke us up, calling many to prayer and having us recall we were far from home We started our day a skip away from our hotel, with breakfast at an art hotel in the historic old Dubai. In a peaceful courtyard with refreshing mint lemonade, we contemplated ditching our mall plans for our Kindles and countless lemonades. But as our time to explore was limited, we pressed on. tree from the sky. From our monorail view, it looked like more construction in this Vegas/Disney land. So we did what one would expect – got Starbucks, Wi-Fi, and briefly chilled until the next monorail back. 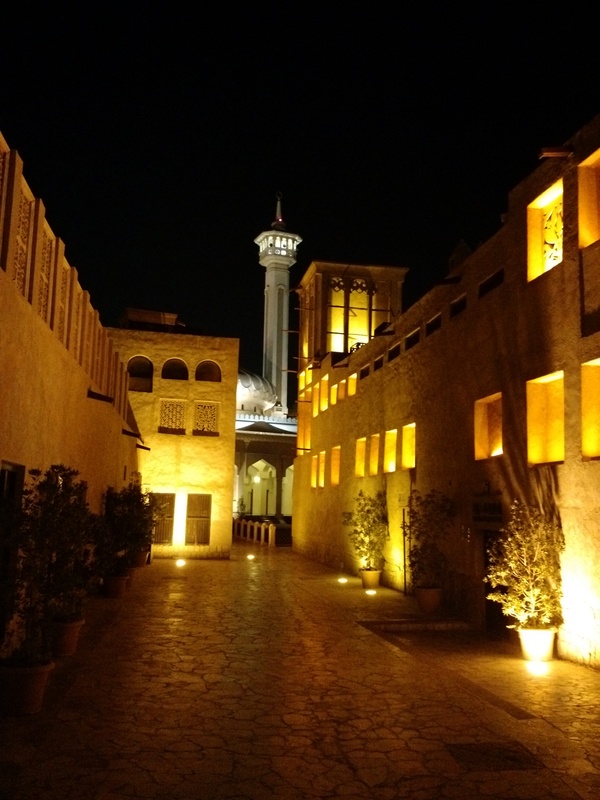 Back at old Dubai and our hotel, we realized we are more suited for Kindles and lemonades than Karl Lagerfeld and cheesecake. It’s Dubai so it probably IS Chihuly.